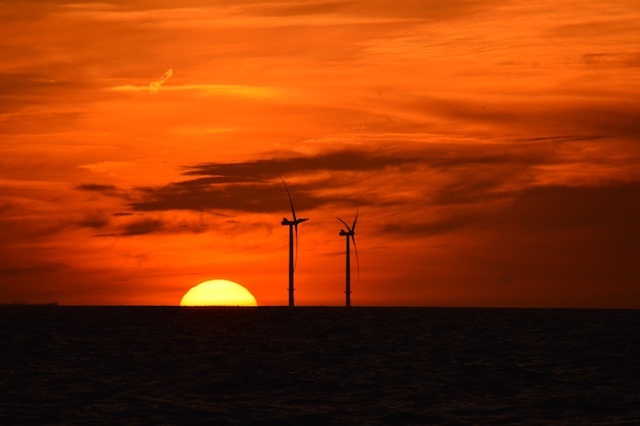 I did the shorebased Yachtmaster Offshore course some years ago, and had been looking for an opportunity to do the practical. This year (2016) I had the time, and Leon Schulz on Regina Laska presented the opportunity. 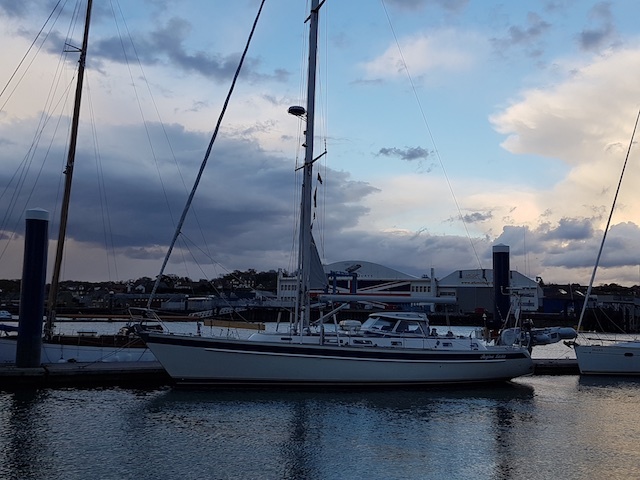 We (three fellow students/crew, myself and Leon) started in Cuxhaven (Germany), had a frisky cruise southwards the English Channel to Dunkirk (France), then Dover (England) and finally Gosport in The Solent. 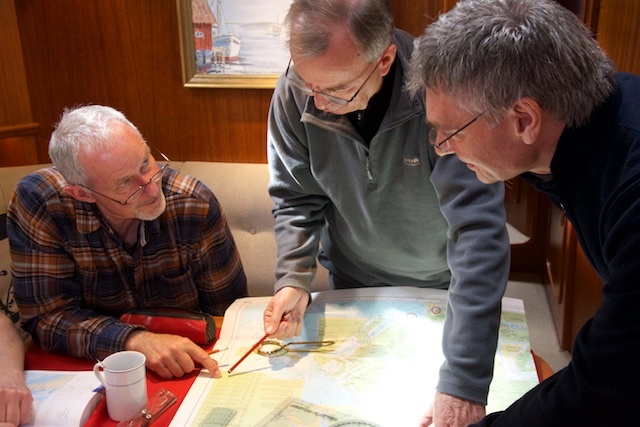 There the second week was spent polishing the Yachtmaster skills amongst the historical ports of The Solent. 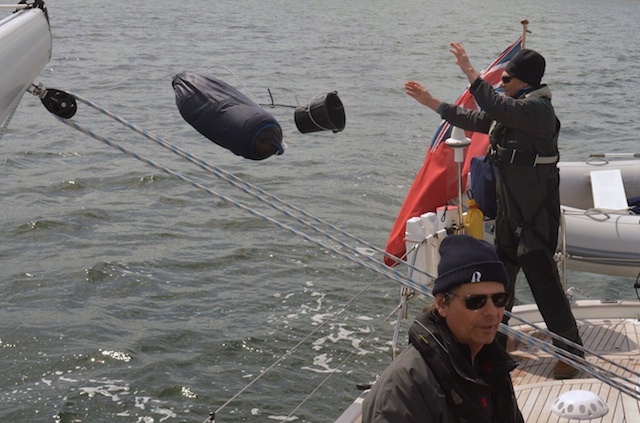 The two weeks were packed with experience: We had rough weather and challenging navigation in “the Channel”. 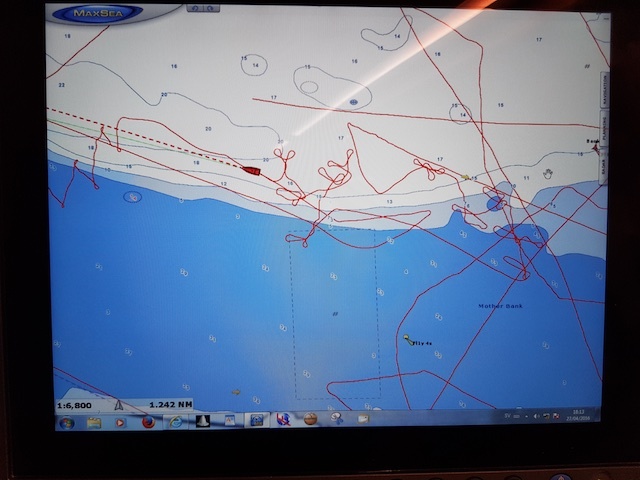 All paper-chart work, marine traffic avoidance, piloting in unknown ports and crossing traffic separation zones (TTS), to mention some of the learning points. All this was perfect training, and not the least preparation for future extended cruising with my own boat. And of course, the best possible way of gaining relevant mileage for Yachtmaster Offshore. 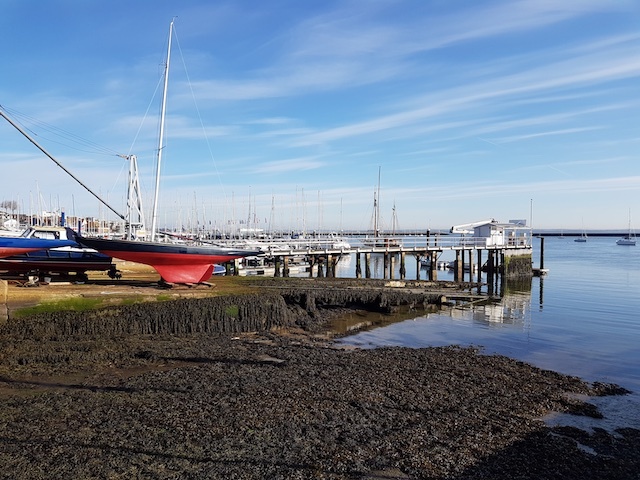 The skills practicing (second week) made us all aware of the RYA’s high standards, and there were some really challenging tasks to master, even with years of experience and former courses. 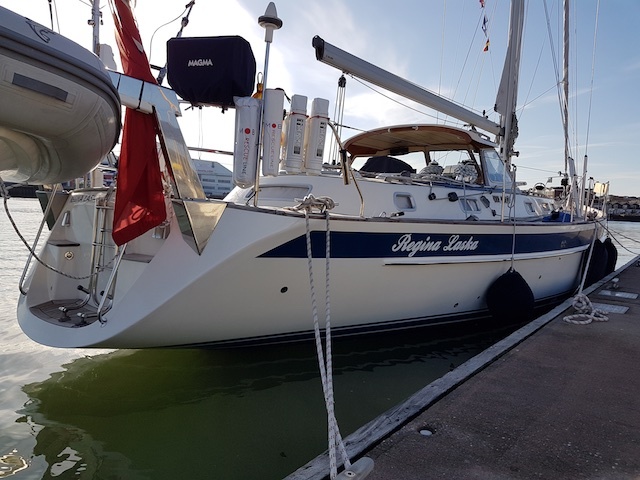 Leon pulled us all through, however, being extremely knowledgeable and serious about what it takes to have responsibility for a sailing yacht. The two weeks were perfectly structured for building up skills and confidence, and we were all taken care of individually. 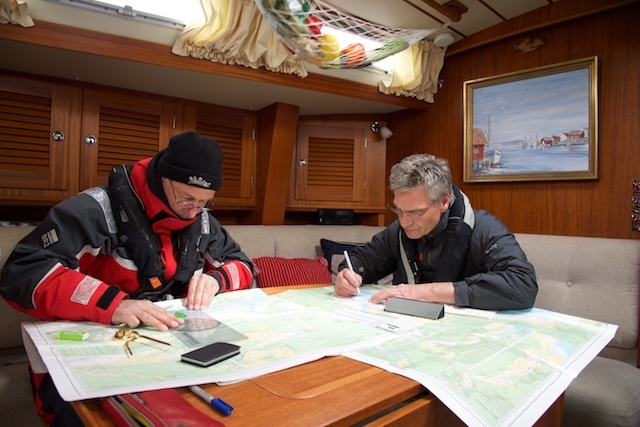 Every manoeuvre was plotted and later discussed, whether finding a specific spot or man overboard drills. There were a few…. It turned out that we were very well prepared for the two days examination, evidencing the teacher’s conscientiousness regarding the instructions. In hindsight one other aspect of those two weeks have come in sharper relief: The prep. course was also a cruise in its own right. 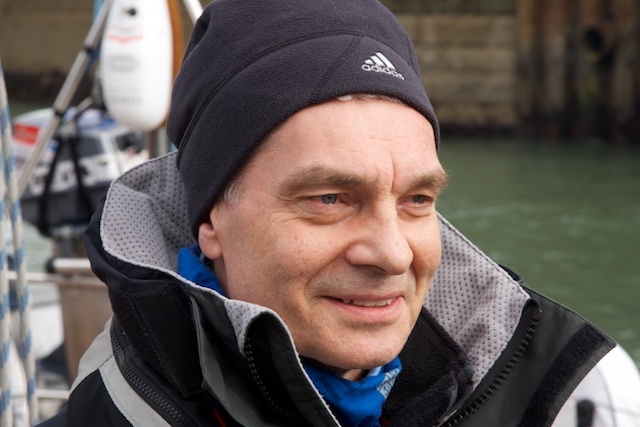 We had a challenging but also a wonderful time which may in large measure be attributed to Leon’s ability to build atmosphere and his obvious interest in his crew’s wellbeing. 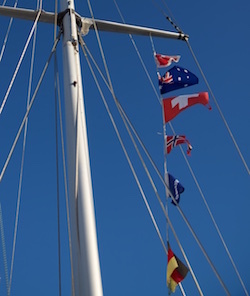 We had a comfortable yacht, lots of good food (prepared by the skipper! 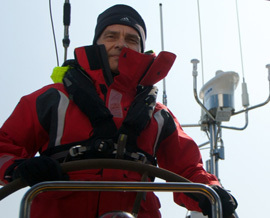 ), challenging sailing and the Solent all around us. Crammed with learning on top of all this, what more could one ask for?